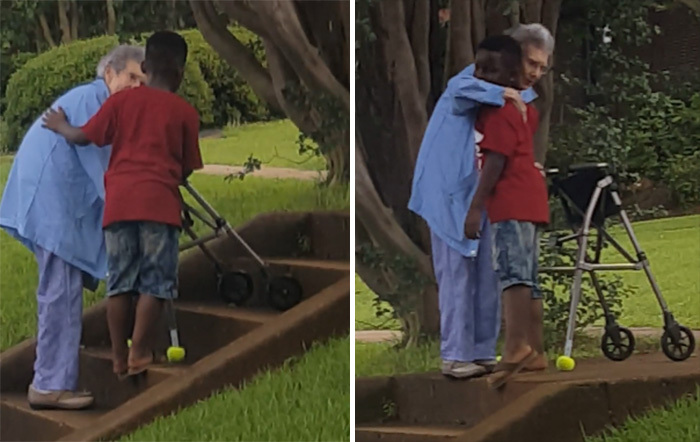 An 8-year-old boy’s random act of kindness will restore your faith in our youth. Maurice Adams Jr. was in the car with his mom and sister when they saw an elderly woman crossing the road. He asked his mom to stop the car, ran over to the woman and held her arm as she slowly took each stair. At the top of the stairs, she gave him a hug and the two went on their way. The video was filmed by Riley Duncan, who told Channel 2 Action News he saw the boy stop traffic, hop out of his car and help the woman — and he thought it was a moment that deserved to be shared. Maurice’s mother, Contricia Hill, said she didn’t know anyone was filming the moment, but seeing her son’s act of kindness on the internet makes her proud. She said they still don’t know who the woman is, but said she had a short message for Maurice when they reached the top of the steps.